San Francisco and London, April 16, 2018 - TrustArc, the leading data privacy management company, today announced the launch of TrustArc GDPR Validation, the latest addition to the TrustArc suite of technology-powered privacy solutions which are used by 1,000 companies worldwide to manage privacy compliance. Under the TrustArc GDPR Validation program, upon successful completion of all GDPR remediation items, companies will be presented with a validation report and findings letter outlining their compliance status, which they can use to assure customers, partners and other stakeholders of their GDPR compliance status. 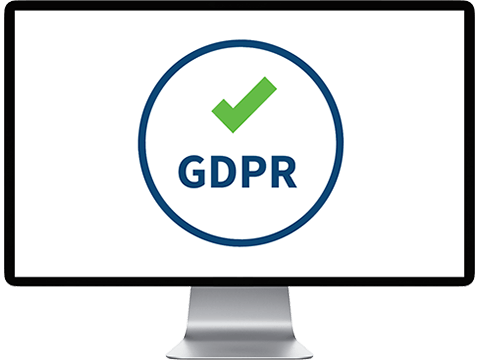 The GDPR Validation is powered by the TrustArc Platform, with intelligent, specialized workflow and reporting to streamline the end-to-end process. The GDPR introduces a broad range of privacy compliance requirements that any organization that handles data about individuals in the EU must comply with. As companies finalize efforts to meet the May 25, 2018 GDPR deadline, an emerging challenge many are facing is demonstrating their compliance status to management, regulators, customers and other stakeholders who want assurances that their programs and practices address GDPR requirements. While GDPR Articles 40-43 contain provisions outlining certification programs and codes of conduct that may be established in the future, companies are seeking efficient, independent ways to benchmark and report on their compliance efforts now. "With the GDPR deadline less than two months away, companies must begin to demonstrate their GDPR status," said Chris Babel, CEO of TrustArc. "TrustArc is leveraging its decades of privacy certification leadership and experience to provide a GDPR validation solution that can help companies meet the needs of their customers, partners and other stakeholders — now and after the May 25 deadline to comply." The GDPR Validation was designed by a team of TrustArc legal, policy and regulatory experts and breaks down the hundreds of pages of regulatory text into categories of requirements that can be demonstrated and evaluated objectively, such as, transparency, consent management, individual rights management, international data transfers, vendor management and security risk management. With options to verify against 40 GDPR program-level validation requirements, and/or 44 practice-level validation requirements, the TrustArc GDPR Validation enables companies to demonstrate that they have built and are maintaining a GDPR compliant privacy program and GDPR compliant products or processes. The TrustArc GDPR Validation includes a limited-use license to the TrustArc Platform to streamline the process of managing the assessments, identifying gaps, reviewing remediation recommendations, assigning tasks, recording the audit trail of changes, and generating reports. For more information, please visit: https://www.trustarc.com/products/gdpr-validation/. TrustArc, the leader in privacy compliance and data protection for over two decades, offers an unmatched combination of innovative technology, expert consulting and TRUSTe certification solutions, that together address all phases of privacy program management. The TrustArc Platform, fortified over eight years of operating experience, across a wide range of industries and client use cases, along with our extensive services, leverage deep privacy expertise and proven methodologies, which have been continuously enhanced through thousands of customer engagements. Headquartered in San Francisco, and backed by a global team across the Americas, Europe, and Asia, TrustArc helps customers worldwide demonstrate compliance, minimize risk and build trust. For more information, visit the TrustArc website, blog and LinkedIn.